If you are truly concerned about the well-being of your mane, a product that should be present in your arsenal is a natural shampoo. In this contemporary era of hectic lifestyles and increased pollution, maintaining a lustrous and healthy mane has become more of a challenge than ever before. Nowadays hair care is as much a priority as skin care and healthy living, with the result that present-day consumers have become aware of the various products available to them. There was a time when all that hair care entailed was washing your mane with a shampoo that formed plenty of lather. Chemical laden shampoo was hardly a concern until problems like hair loss, dryness, and frizziness could not be ignored. People have become increasingly aware of the ingredients in personal care products and natural or organic ingredients have become paramount. Fortunately, there are more options than ever before and we’ve written this guide to help you find the best one for your needs. Bereft of sulfates and parabens, effective moisturizer, recommended for dry hair. Makes your hair stronger and shinier, nourishes the scalp with a healthy dose of vitamins. Free from chemicals, toxins and artificial preservatives, applicable on all hair types. Washing your hair on a regular basis is not just about cleanliness – it is also a way of replenishing and rejuvenating your scalp and your strands so that they improve in terms of health and quality. To this effect, your mane is likely to benefit in multiple ways if you opt for a natural shampoo rather than one replete with all kinds of chemicals. Maybe your chosen best natural shampoo may not produce as much lather for you to play around with, but it could work wonders for your mane on being used repeatedly. Natural ingredients present in the shampoo not just replenish the scalp with essential oils and nutrients that may have got depleted over a period of time, but also have a soothing effect. With its health having been restored, the scalp is sufficiently stimulated to spur growth of new hair from the hair follicles. By using the best natural shampoo, you will have protected your scalp and your mane from artificial ingredients and strong chemicals, both of which have been known to have a deteriorating effect. Using a chemical based shampoo is akin to using a detergent, wherein your hair-strands would end up feeling dry and brittle and your scalp would feel irritable. In the worst-case scenario, a layer of dandruff might form, thus causing you to seek help and guidance. 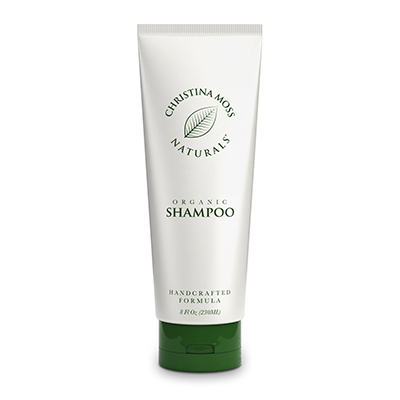 Most ingredients that form a natural shampoo are derived from nature and hence are neither as strong nor as corrosive. So, what your mane receives is nourishment from products that exist in nature and promote holistic health. Your mane is likely to develop issues over a period of time owing to a variety of reasons, like pollution, dietary deficiencies, and a tedious lifestyle. Usually, these are manifested in form of incessant hair-fall, itching, redness of scalp and your mane appearing dull and listless. The need of the hour is a solution that would not just repair the damage but also strengthen the strands and it is a natural shampoo that comes forth as the most effective solution. 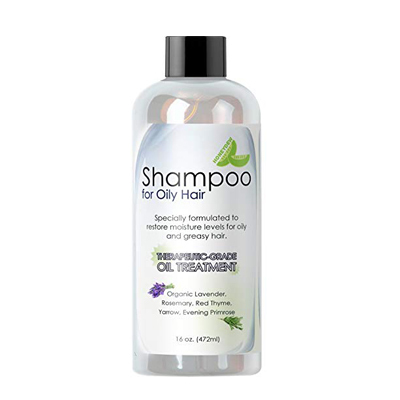 Such a shampoo comprises of oils, extracts and herbal derivatives, all of which promote good health from the root level, and help to overcome issues through repair and recuperation. Unlike chemical based shampoos, natural shampoos do not follow the one-formula-fits-all principle. So, if you explore this segment, be prepared to encounter a large variety, with each offering a unique set of benefits. The onus is on you to identify a product that would be best suited to your hair-type in terms of repair, replenishment, and protection. 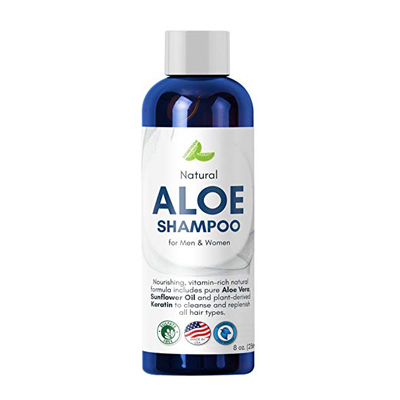 For an individual who is allergic to certain ingredients or has sensitive skin that can react to slightest exposure, natural shampoo can truly prove to be the savior. Ingredients derived from nature seldom cause allergies and rashes, thus rendering this shampoo a soothing and safe option. Given the rising popularity of the concept of natural/organic, nowadays it is common to find these terms mentioned on the label of every brand, irrespective of the actual composition of the product. What is equally true is that not every shampoo that carries the ‘natural/organic’ tag might be so in reality. Going through the list of ingredients on the bottle is one way of checking if your chosen best hair shampoo is actually as natural as it claims to be. To this effect, when you run your finger down the seemingly endless list of ingredients mentioned on the label of the shampoo bottle, you are bound to realize that there are some names that are common across all brands. Because some of these are more toxic as compared to others, you must guard against their presence in the so-called ‘all-natural’ brands of shampoo. Variants of this are included in detergents, surfactants and industrial cleaning agents owing to it being strong enough to clear layers of dirt. Its inclusion in a shampoo could result in removal of dirt, but could also have an adverse impact on scalp, skin, and eyes, which is why it should be avoided. In extreme case, it has also been found to be carcinogenic and cause hormonal imbalance. These are basically preservatives that find mention in most cosmetic and personal care brand labels. What is truly alarming about them is their xenoestrogenic nature, wherein once they penetrate the body via the skin and are absorbed into the blood-stream, they begin to behave like estrogen and tend to disrupt the hormonal balance over a period of time. After their presence was discovered in tumors related to breast cancer, medical experts have listed them among the probable causes of breast cancer. Being a petroleum byproduct, it is a component of brake fluid, paints, and antifreeze owing to being a good solvent and stabilizer. However, when it is included in a shampoo, it is toxic enough to cause irritation of the scalp and even affect kidneys and liver. As one of the stronger chemicals which is added as a preservative, it has been found to be highly toxic for the human body. When used as part of shampoo, it can cause irritation in your eyes, skin, and lungs, not to mention allergy and dermatitis. Although it is used as a preservative in food preparation and cosmetics, sodium benzoate has been linked to cancer and infertility in human beings. On being combined with Vitamin C, it has been found to turn carcinogenic and also cause irritation of the skin. Irrespective of the form or quantity in which it is used, this chemical is strong enough to alter the make-up of your cells and toxic enough to have an adverse impact on internal organs. It is also harsh enough to turn carcinogenic after having been absorbed in the bloodstream. It may not be as harsh as some of the other chemicals, but sometimes it can assume the form of a carcinogen, particularly if it is contaminated with specific substances. When that happens and it penetrates your skin, the outcome could be drastic. Different hair types react differently when exposed to various ingredients and temperatures, and that is why it is imperative for you to first identify your hair type. If your hair type is normal, meaning it is neither oily nor dry, a mild natural shampoo would work well in terms of cleaning your scalp while leaving the strands undamaged. Oily hair is best handled by a natural shampoo that does not comprise of too many ingredients, but at the same time is effective enough to remove the oil, grime, and dirt. For fine hair, it is important to appear bountiful and hence the chosen natural shampoo must be such that it adds volume and bounce to the mane. Dry and damaged hair is best handled through a natural shampoo with moisturizing properties while curly hair can do with one that has a smoothing effect. How healthy is your scalp? Scalp health plays a seminal role in choosing a natural shampoo and it can be best determined through close observation. Considering that your scalp is an extension of your skin, it should be treated the same way as you treat your skin, namely moisturize it if it is dry, nourish it with essential oils and use soothing applications. What is your mane’s pH level? Judge a shampoo by its pH, even if it is nature-based, and you will never go wrong. Of course, pH level of the chosen shampoo should match with the pH level of your hair for the results to be exemplary. How frequently do you wash your hair? If you intend to wash your hair every day, then choose a weak natural shampoo that will not damage your hair despite daily usage. Likewise, if you are prone to wash your hair once or twice a week, then choose a heavier natural shampoo with long-lasting cleaning effect. Having mastered the art of identifying the best natural shampoo is half the battle won as far as the good health of your mane is concerned. Not only will this ensure a healthy scalp but also damage-free hair that appears bountiful and lustrous. Now that you know which natural shampoo would suit your mane the best, the next step is all about knowing how to use it to accrue maximum benefits. After soaking your hair with warm water, squeeze some shampoo on to your palm and, having rubbed both palms, massage it on to your scalp using your fingers. Make it a point to cover every inch of your scalp for thorough cleansing and leave it on for a few minutes for the grime and dirt to dissolve completely. Rinse it out by spreading the lather along the length of the strands and wash off all the soap till there is nothing lingering on to your scalp or your hair. One of the most noticeable ways in which a natural shampoo differs from a chemical-based shampoo is that it does lather as much, which might make you wonder if it is effective in cleaning your mane. Lack of lather does not mean a lesser degree of cleaning – in fact, the cleaning action is more thorough without damaging your mane and your scalp in any way. You would also do well to adhere to the directions provided on the label of the bottle, like rinsing twice or using the shampoo twice, for a more effective outcome. Like habits, personal care brands tend to grow on you, which is why most people find it extremely difficult to make a switch. But if you have decided to make a switch to natural shampoo, a strong recommendation would be to ease into the change by trying a brand which is well-known but at the same time cost effective. To this effect brands mentioned under this category are not just based on natural ingredients but are also economical, thus giving you a true feel of this segment. Chances are high that you would soon realize the benefits, but in case you don’t, there would not be any regret owing to not having spent much. For someone who is tentative about natural shampoos, options mentioned under this category are the most suitable. 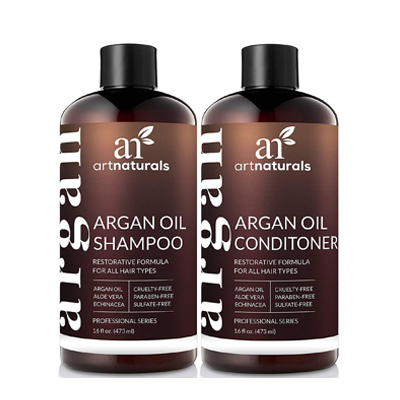 For dry, damaged, broken or brittle hair, this US-manufactured natural shampoo comprising of sunflower oil, Aloe Vera and plant-based keratin is a must-try. While it is soothing enough for your scalp to be used on a daily basis, its cleansing and repair action is equally effective as it works on the epithelial layer of the scalp, nourishing it with vitamins and other nutrients in the process. 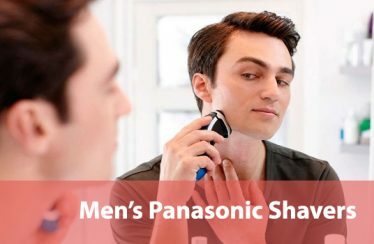 What renders this brand a good buy is that it is suitable for all hair types and is equally effective on men as it is for women. Owing to being free of any artificial additives and harsh ingredients, it is a truly vegan and holistic hair care option for those that may have been facing hair loss without any apparent reason. All you need to do is to apply it liberally all over your scalp after having wet your mane and massage it gently till there is sufficient amount of lather. Leave it on your scalp and your hair for the next couple of minutes and then rinse it off completely so that there are no remnants in your hair. 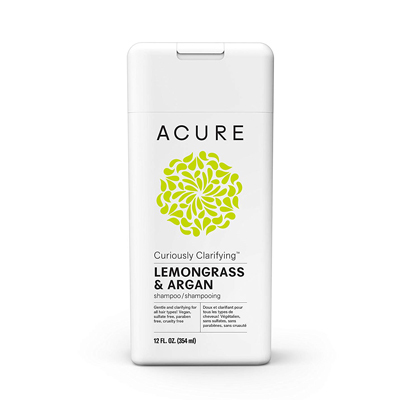 This is one of the brands of natural shampoos that are equally effective on color-treated hair and owing to being vegan, it is also safe for people who might be allergic or sensitive to certain ingredients. If you are in search of a mild shampoo that you can use almost every day to wash your hair, then this could prove to be a perfect option. Gentle and clarifying that it is, this natural shampoo is equally effective as a cleanser for all hair types wherein it would wash away the build-up of dirt and grime while leaving behind a mild fragrance of lemongrass. 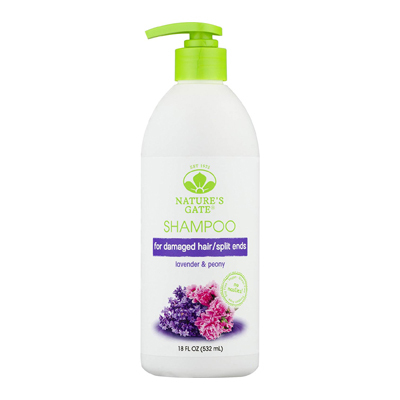 Composed of essential oils, mostly lemongrass and Argan, what renders this natural shampoo totally safe for use in the absence of gluten and other harmful and harsh chemicals like sulfates, parabens, silicones and so on. So, as a user, you need not harbor any concerns about allergies, rashes or other problems occurring. The fact that it is vegan and has nothing to do with animals should also assuage any further doubts lingering in your mind. For best results, you must massage it on to your scalp after having wet your hair and leave it for a few minutes. Meanwhile, you can take some more on your palm and, starting from roots, run your hand along the strands till you reach the tips. When you rinse after having followed these tips, the result is a nourished and moisturized scalp, clean strands and no sign of dirt. Is your hair damaged, feeling fragile or fraught with split ends? If yes, then this natural shampoo is a perfect hair-care solution that would not just revitalize your mane but also solve problems by having a soothing effect on the scalp. All too often, people tend to forget about their hair in a rush to cope with other aspects of life, till one day they look at their mane in the mirror and are shocked to find a lump of dull, listless strands marked with split ends, not to mention an itchy scalp. To this effect, lavender is universally renowned for its subtle and calming fragrance and when included in a natural shampoo, it lends moisturizing and healing properties, both of which repair the strands take care of the inflammation affecting the scalp. Peony is also known for its ability to soothe and calm inflammation, while Chia seeds play the role of a natural moisturizer that also softens the strands. Overall this combination of plant extracts and essential oils in the shampoo render it curative while being gentle on your scalp. Repeated usage would not just ensure that your mane remains clean, but also healthy and strong not to mention a scalp which is sufficiently moisturized and replenished with nutrients. Irrespective of your hair type, you may have good and bad hair days, depending on the amount of time you might have spared to take care of your mane. Everyone loves a good hair day, but unfortunately, these are few and far between owing to a hectic lifestyle, lack of exercise and poor diet. What many people do not realize is that you need not spend hours taking care of your mane – all you need is the best natural shampoo in your arsenal and the battle is half won. There could be several reasons behind a bad hair day, and some common factors are washing your hair too frequently, cleaning it less often, harsh chemicals and stress. So how would you react if informed about natural shampoo that is not just affordable enough for being used every day but is also effective in cleansing your mane and mild enough not to cause harm? Natural shampoo brands included in this category are meant to enable you to enjoy a good hair day as frequently as possible without comprising on your mane’s health. Investing in this natural shampoo would imply that you get to accrue all the benefits, primary among them being keeping your free of harsh chemicals, harmful additives, and artificial color and fragrance. Oily hair comes with its own set of problems, like secreting sebum in quantities that are much more than the required amount. When produced in limited quantities, sebum keeps the scalp moisturized and lubricates the strands, thus keeping dryness and split ends at bay. However, if produced in excess quantities, it tends to settle on the scalp and block pores, which in turn hinders with the breathing of the scalp. 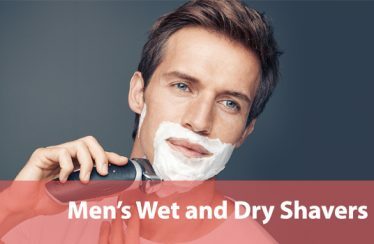 It is also likely to spread across the length of the strand, thus resulting in an overall greasy appearance, unless you use this natural shampoo. Courtesy of its special formula which is bereft of chemical cleansers, this shampoo is able to wash off the oil and grease while leaving the scalp and strands sufficiently moisturized. In addition to being gentle, it is also a perfect hair-care solution for any hair type wherein it controls hair-fall while regulating the oil glands in the scalp. An added advantage is its ability to preserve the pigmentation of your mane, thus enabling it to retain its natural color. ‘Look good, Feel good’ is the mantra that this natural shampoo believes in and it strives to provide both in a way that is eco-friendly, free from cruelty, vegan, and bereft of synthetic elements. There are two main selling points of this shampoo, namely it is made solely from natural ingredients, and secondly, it will be effective no matter what your hair type might be, not to mention sensitivity of scalp and skin. Being 100% natural implies that it does not use any chemical preservatives or cleansers that could adversely affect the quality of your mane in the short term and damage your scalp in the long term. As opposed to such products which are only good enough for one-time cleaning of your mane, this natural shampoo aims to provide long-lasting freshness and repair the damage that might have occurred due to over-usage of synthetic hair-care products. Using shampoos laden with toxic chemicals repeatedly could truly deteriorate your scalp, skin, and mane till you reach a point wherein the only option is invasive treatment like surgery or injections, both of which are not just painful but also expensive. Instead, opt for this natural shampoo which is mild enough to suit babies and enjoy the goodness of a healthy scalp and mane for a long time to come. 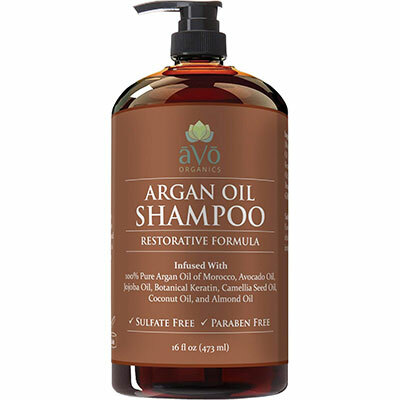 ‘Customer-centric’ is the term that aptly describes this brand of natural shampoo because in addition to keeping a strict eye on the ingredients aVo also offers a money back guarantee. To show that it is aware of the user’s health, aVo ensures that the ingredients used are natural and high-quality, so that the end product is nourishing, healthy and holistic. This chemical-free formula renders the shampoo restorative in terms of strengthening hair growth and supportive of new growth. In addition, the vitamins serve to moisturize the scalp and increase blood circulation, both of which add volume to the mane. As a result of using this shampoo frequently, you will soon have cultivated a strong, healthy and bountiful yet manageable mane. What renders this purchase truly attractive is the 365-day return policy, wherein you can return the product and take a full refund in case it does not live up to your expectations. Frizzy hair is often regarded as being the most difficult to manage because it tends to go wild at the slightest breeze, roughens very easily and is particularly prone to breakage. In such a situation, how would you react when you are told that there is indeed a natural shampoo that can transform your frizzy hair into a tamed and manageable mane? Despite being bereft of sulfates that cleanse thoroughly and parabens that are meant to serve as preservatives, this natural shampoo not only cleans the scalp and strands of dirt and grime but also rejuvenates them. On being used frequently, it goes on to transform your frizzy mane into soft, silky and smooth strands that can be easily managed and stylized in any way you like. 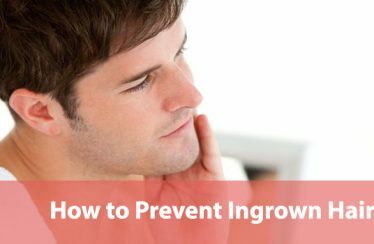 Over a period of time, even the restorative action is visible wherein your scalp would feel healthier, there is new growth and much of the damage will have been repaired. For someone who is cognizant of the need to switch to a natural shampoo and might have spent time exploring this niche, it will have become clear that not everything that is marked ‘Natural’ is actually so. Being well-versed with this segment, you will have also gained an understanding of the different ingredients as also their functions. Armed with this knowledge, you can now choose an expensive brand of natural shampoo and incorporate into your regular hair-care routine. 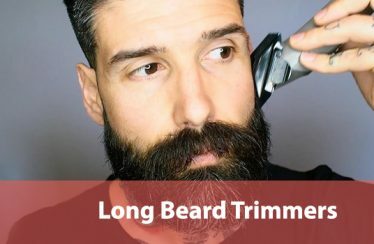 A word of caution pertains to the fact that you must opt for a brand in this segment only when you are absolutely sure of it and are confident that it will make a difference to your mane. In this way, you will get good value for money and enjoy improved hair health without incurring any unpleasant surprises or harboring any regrets. Replete with honey and coconut oil, this shampoo is as natural as can be possible and its goodness is evident through the soft and nourishing feel that it lends to your mane after having been used. Courtesy of the therapeutic properties of honey, this shampoo is an ideal choice to restore the health of your inflamed scalp and damaged strands of hair. Likewise, coconut oil is a natural moisturizer that would protect the scalp from dryness and prevent the onset of flakes and dandruff. Needless to point out, the mild fragrance emanated is also natural and not a result of any artificial scent or preservative. 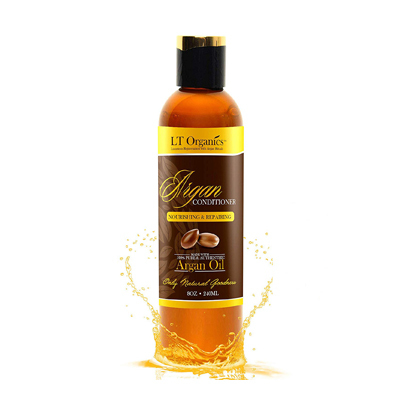 Argan oil, which is the basic ingredient in this shampoo, is believed to improve the health of the scalp owing to being fortified with various plant and leaf extracts. So, although this natural shampoo is gentle, it does not compromise on the quality of cleaning, which it achieves without stripping your mane of its natural oils and color. The conditioner forms a protective coating on each strand, thus preventing it from suffering damage due to external factors. It also serves to hydrate the scalp which in turn results in long-term benefits like healthy and voluminous mane and a glossy luster that only comes from good maintenance. 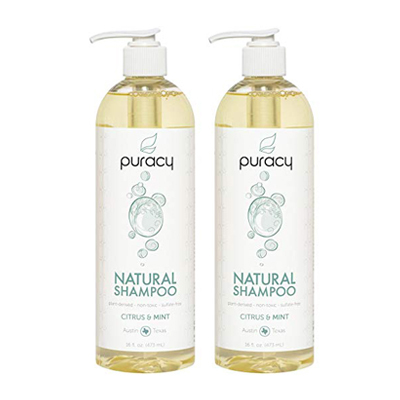 Although placed at the higher end of the price spectrum, this natural shampoo is worth every penny that you spend because it is one of the few hair-care products that has been developed by medical experts and has been tested by beauticians. 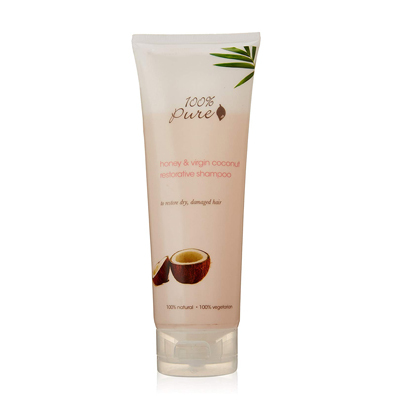 Coconut and vitamin E form the basis of this natural shampoo which lathers very easily and leaves behind a fresh peppermint fragrance on being washed off. In addition to being devoid of harsh ingredients and toxic chemicals which cause harm to the hair and scalp in the long run, this natural shampoo is also vegan and biodegradable, meaning it does not leave any carbon footprint. Because gluten has also been excluded from the manufacturing process, it does not cause any kind of external or internal allergic reaction. To use this natural shampoo, you would need to turn the ribbed collar in the clockwise direction and at the same time rotate the spout in the anticlockwise direction. As soon as the spout is unlocked it will pop up and then you can squeeze some of it on to your palms before applying it to your rinsed scalp. Thorough rinsing is a must with this brand of natural shampoo and experts recommend that it should be used for at least two weeks for any positive results to become apparent.